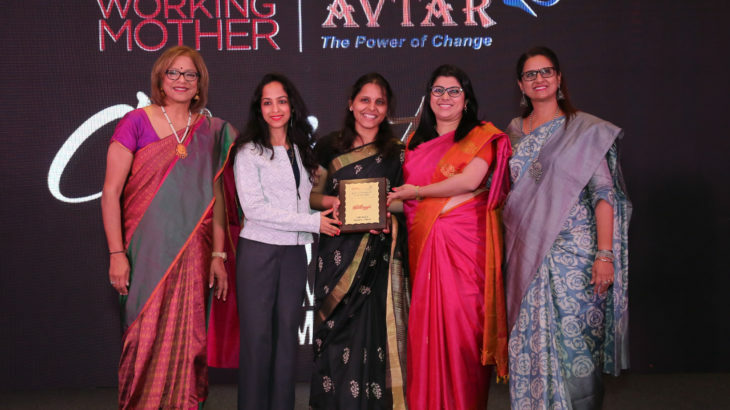 Sri City, November 1, 2018: In the ‘Best of the Best Conference-2018’, organised by the Chennai-based AVTAR Group, in association with US-based gender parity champion ‘Working Mother Media’, presented awards to all the winners of the 100 ‘Best Companies for Women’ in India (BCWI-2018) study, held at Chennai. The Mondelez and Kellogg’s, which have units in Sri City were among those 100 Best Companies. The BCWI-2018 study was based on the data spanning across seven policy clusters such as workforce profile, Flexible work, women recruitment and retention, benefits and work-life programme, parental leave, best practises for Women’s Career Enablement & Advancements, and Company Culture & Management Accountability. The initiative of Sri City in employing large numbers of women in the industries certainly makes it unique. For instance, in Rising Star (a unit of Foxconn) itself, as high as 15000 women are employed. Similarly, some more units, such as Mondelez, Kellogg’s, Pals Plush, Everton Tea, MSR Garments, KGI Clothing, Unicham, Colgate Palmolive, etc have a large women workforce, at different levels. The percentage of women ranges between 20 to 95 in these units. They built a safe and secure work environment and introduced a host of women-friendly features at their factories. Recently some of the articles that appeared in media mentioned that by and large gender parity exists at Sri City units.